I have not yet officially met Aaron (or should I say Ronlewhorn) in person but I chat with him via the internet once a week or so. Getting to see what he has in the hopper is always awesome. His clean line work, composition and ideas stood out to me instantly. 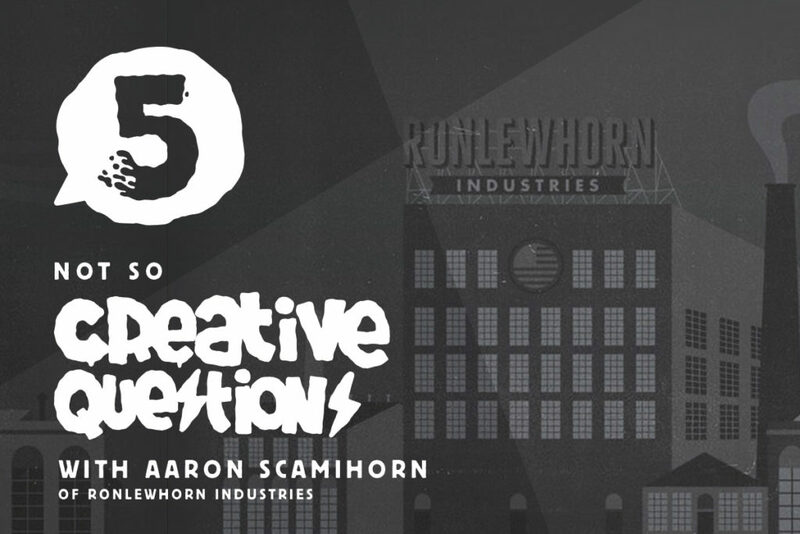 Which eventually prompted a delivery of the sacred “5 not so creative questions.” Enjoy this edition with Aaron Scaminhorn of Ronlewhorn Industries. My name is Aaron Scamihorn. 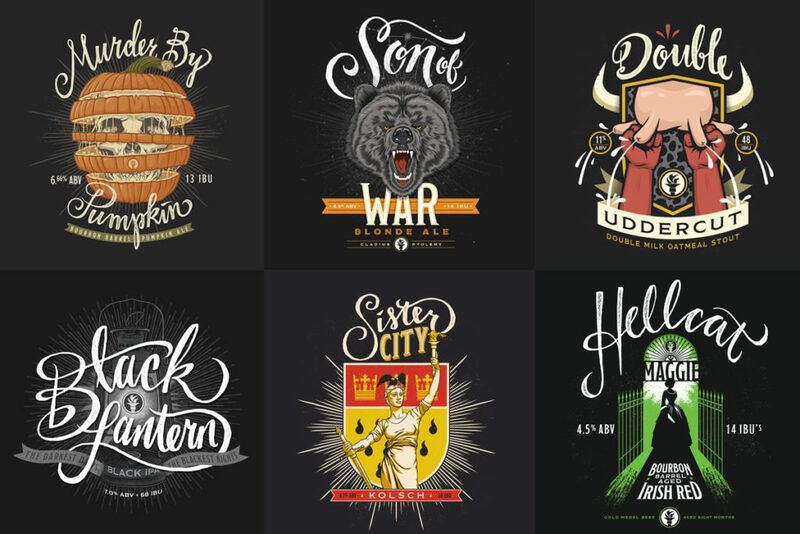 I operate my illustration, design & screen printing operation under the name Ronlewhorn Industries. Ronlewhorn is a pseudonym that started as a typography class project in college where you take parts of a word and re-arrange the characters. Using my full name aaRON LEWis scamiHORN i came up with RONLEWHORN and it has kind of stuck. I primarily create illustrated portraits. I love bold, clean-line illustration that has a touch of comic book and retro aesthetic. 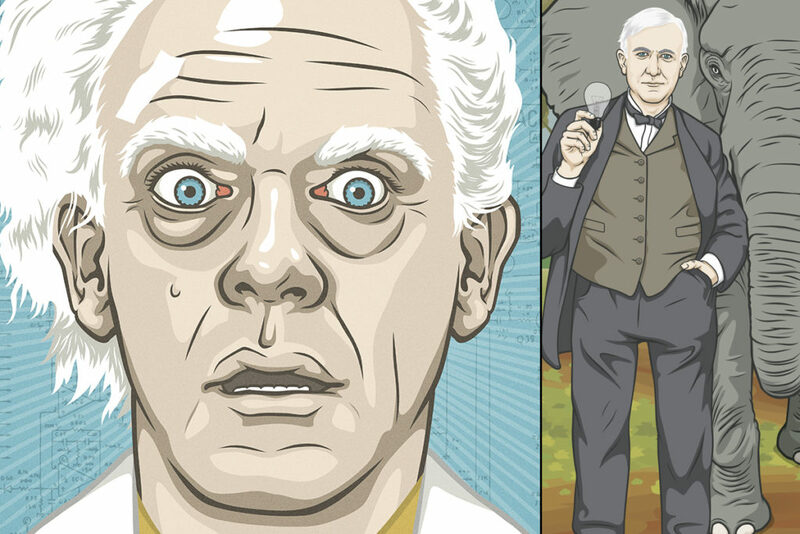 Right now I’m working on a series of posters for the Indianapolis Museum of Art highlighting the films they’re showing as part of their Summer Nights Film Series. 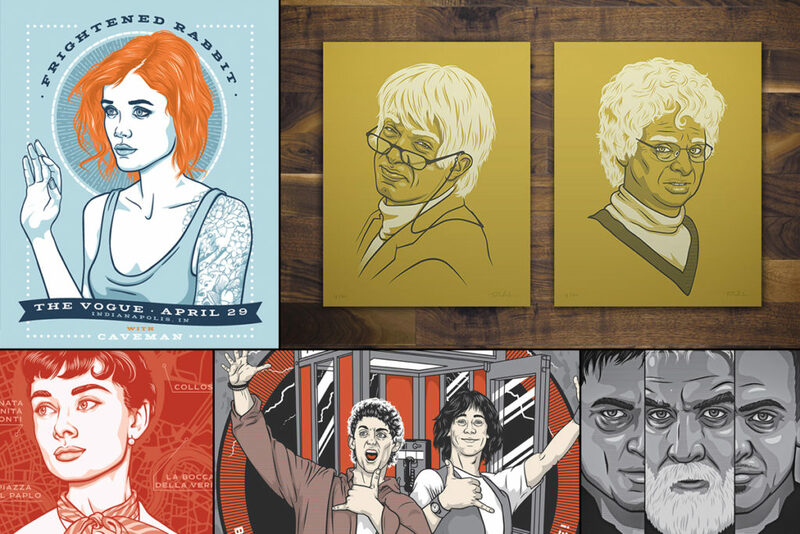 I’m also doing a couple pieces for upcoming Gallery 1988 shows and have a couple gig posters in-progress for Bayside and Frightened Rabbit. My advice to people is always “do what you love as much as you can, put it out there for as many people to see as possible and eventually people will pay you to do just that.” This philosophy has always worked out pretty well for me and it results in the most fun projects. Waffles or Pancakes? and why. Legit Belgian waffles with the chewy dough and crunchy bits of sugar! Those things are like crack! Weapons of Mass Creation festival shirt design and process video.